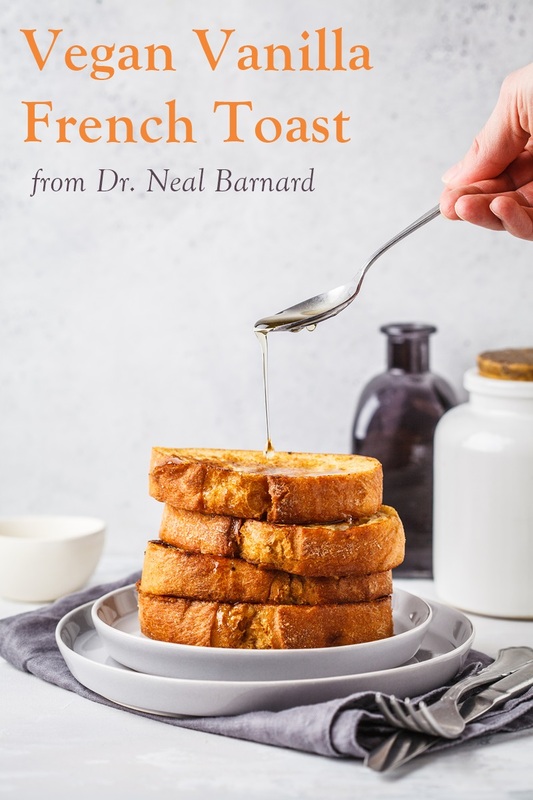 This vegan vanilla french toast recipe is from The Get Healthy, Go Vegan Cookbook by PCRM’s leading expert, Dr. Neal Barnard. It’s higher in protein than your average egg-free recipe, thanks to the use of tofu and soymilk. Dr. Barnard also uses agave nectar, which he states is a more diabetic-friendly sweetener. The Get Healthy, Go Vegan Cookbook is based on a landmark two-year study conducted by Dr. Barnard, which showed that a vegan diet more effectively controls type 2 diabetes. He also found that it’s beneficial for weight loss, the reversal of heart disease, and the improvement of many other conditions. Dr. Barnard and nutritionist Robyn Webb came together to create this cookbook, which contains 125 healthy recipes. 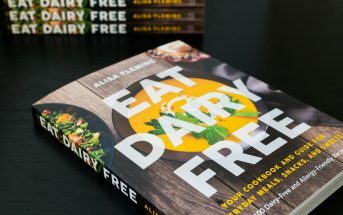 The entire collection is free of animal products (including dairy), low in fat, and maintains a low-to-moderate glycemic index. 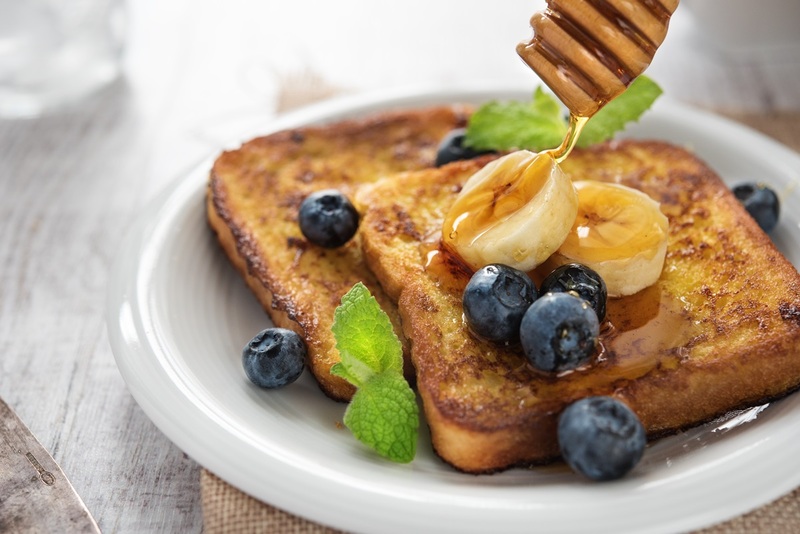 Most of the recipes are also quite easy and contain easy to find ingredients, like this simple vanilla French toast. 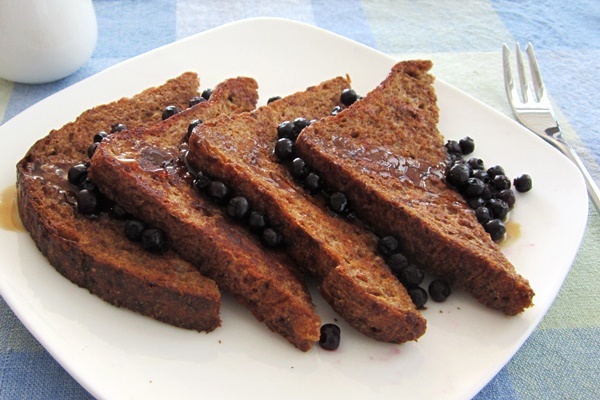 This healthy vegan French toast photo is from Bigstock, because the book is black and white. But this is vegan (no eggs or dairy in the making of this photograph! ), and we did obtain visually similar results when tested. 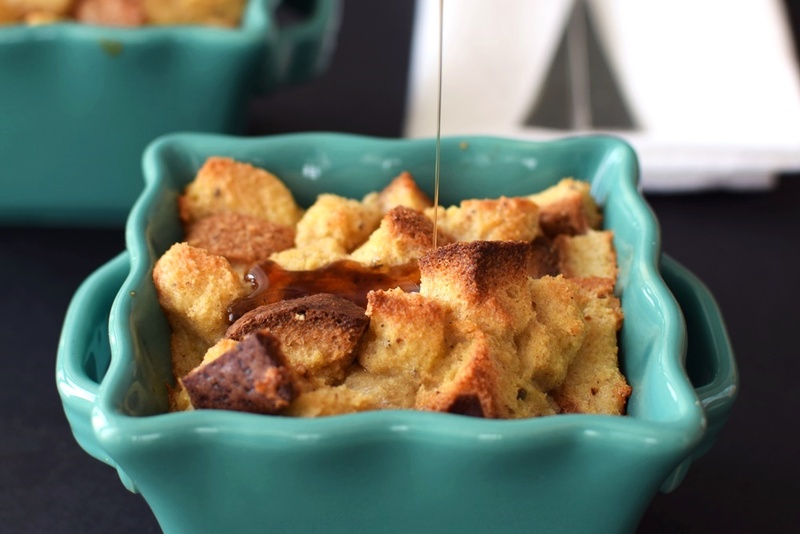 By ingredients, this recipe is dairy-free / non-dairy, egg-free, optionally nut-free, peanut-free, vegan, plant-based, and vegetarian. 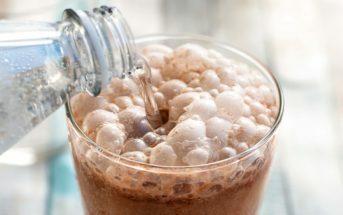 This recipe is reprinted with permissions from The Get Healthy, Go Vegan Cookbook: 125 Easy and Delicious Recipes to Jump-Start Weight Loss and Help You Feel Great by Neal Barnard, MD. Puree the tofu, soy milk, agave nectar, cinnamon, and nutmeg in a blender. Pour the mixture into a pie plate. 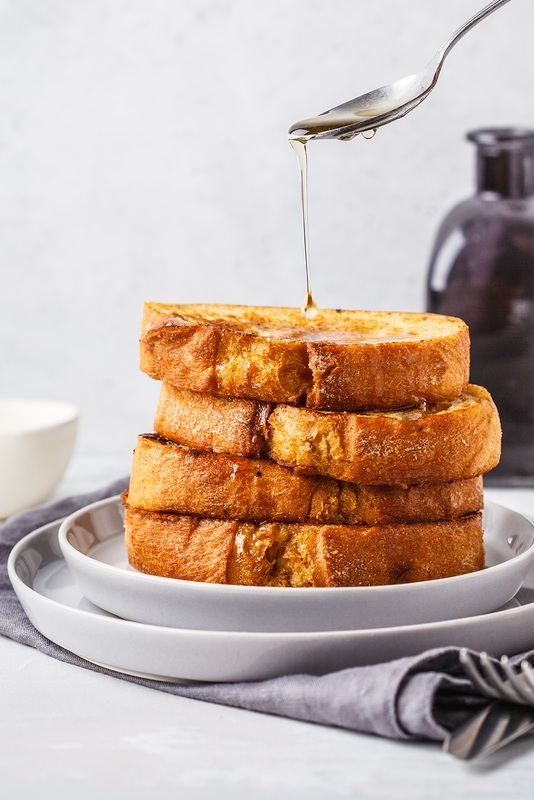 Dip each slice of bread into the tofu mixture and cook over medium heat for about 3 minutes per side or until golden brown. 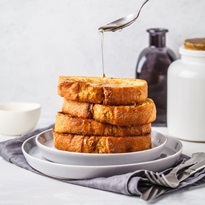 Special note: If you are Type 2 diabetic and have never tried agave nectar, please do.This natural sweetener comes from a succulent that is similar to aloe vera and is a great substitute for sugar in most recipes.